The CSC Applied Training in Systemic Family Constellations both follows and extends the learning journey of the Foundation year. This course enables participants to deepen their understanding of systemic philosophy, and develop the skills required to put theory into practice. This training is regarded as essential learning for those hoping to develop a career in Systemic Constellation Work, and will equip others with the skills needed to integrate a constellating methodology into the existing professional contexts in which they work, including forms of one-to-one practice. This course is for individuals who have completed the Foundation Training in systemic family constellations with CSC, or an equivalent training with another similarly oriented institution, and who wish to further develop their understanding of this perspective, and integrate it into their professional practice and personal life. As a method of working that seeks to find a place for every member of the system, this approach can deepen other resolution-oriented perspectives and methodologies. This training follows on from the Foundation Training and significantly deepens the knowledge and understanding of the theoretical principles that underpin practice. This course continues to emphasise the importance of experiential learning, and learning by doing, but also provides essential teaching on all aspects of social systems. Provide further opportunities to constellate (with support) those issues that relate to your professional orientation. The Applied Training is lead by Gaye Donaldson and Chris Williams, both of whom has more than a decade of experience in constellations work. Full biographies are available here. •Establishing a group agreement for the ‘Learning by Doing’ sessions. The Applied Training 2019 includes 5 training modules, each three days long and run in Bristol. 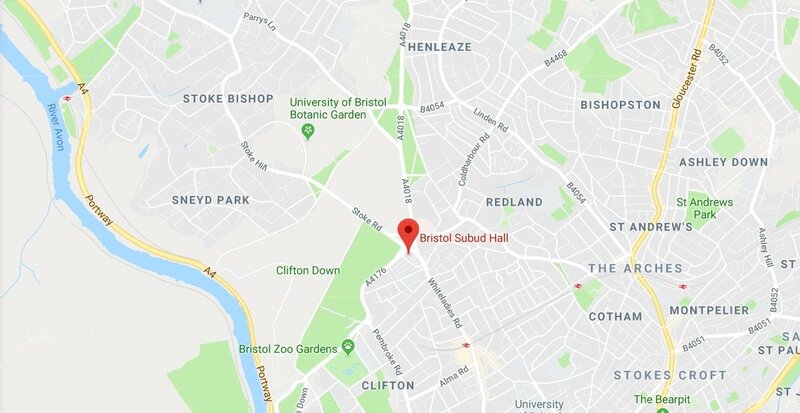 Students of the CSC are eligible for a 10% discount on the luxurious (but affordable) Clifton Hotels, the discount is available on all 5 hotels but we would recommend staying in either the Clifton Hotel or the Washington Guest House, as they are closest to Subud Hall. If you book 2 weeks in advance you can get an off-peak return from London Paddington to Bristol Templemeads for as low as £60 return. Or if you book soon after 12 weeks in advance they are as low as £33.50 return. The journey is 1 hour and 40 minutes. Train travel from Birmingham to Bristol costs roughly the same and takes 1 hour 30. 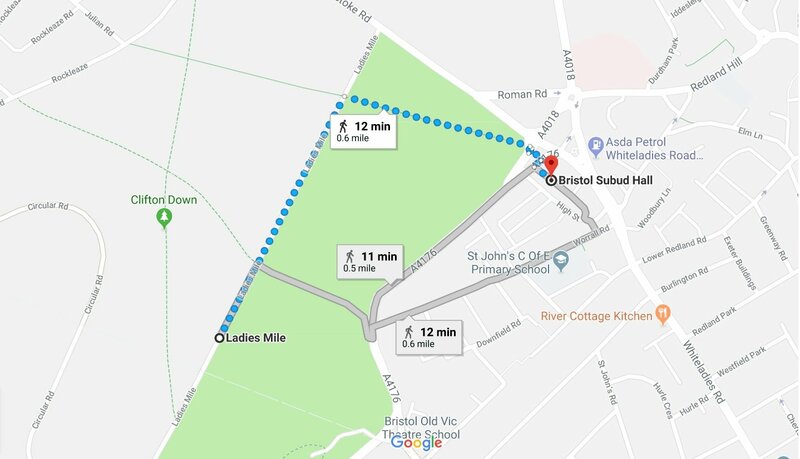 Parking in the immediate vicinity of Subud Hall and Clifton in general is limited, however you can park for free for 5 hours a very short walk away on Ladies Mile, on the scenic Downs. You can then move your car to a nearby road with similar rules during the lunch break. Ladies mile is completely free parking all day on Saturdays so no need to move at lunch time on a Saturday. The Applied Training is a one-year course. In addition to the 5 training modules, you will also receive 2 tutorials (dates to be arranged individually) with your personal tutor. Students are also able to attend 2 faculty-led workshops as a representative during the course. A Certificates of Attendance will be issued to each student at the end of the training. To book a place on the CSC Applied Training, please click on the green ‘booking’ button on the website, and follow the instructions. Payment of the deposit is required to secure a place in the group. If you have not completed a Foundation Training with CSC then you will be asked to complete a short application form and may be asked to have an informal telephone interview with one the of the faculty. Download the application form here. The full course fee is £2,685. A non-refundable deposit of £450 is required to secure your place. However, if you would like to take advantage of our early bird option, your course fee will be £2,435 if we receive your deposit by 31st October 2019. Once the deposit is received, the remaining fee can be settled as a one-off payment before the first module, or in monthly instalments. Please ask for details about the monthly instalment payment plans available. Please note: CSC is a Not for Profit organisation and does not therefore charge VAT. Cancellation Policies: • A deposit of £450 is required to secure a place on this course. This deposit is non-refundable, whatever the reason for cancellation. • Any cancellation made up to one calendar month before the start of the first module of the course, will receive a full refund of all course fees paid to this point, except for the non-refundable deposit. • Cancellations made between 2-4 weeks before the start of the first module half the course fee will be charged, whatever the reason for cancellation. The non-refundable deposit will not be returned. Other: For cancellations made less than two weeks before the start of the training the full fees will be required, as agreed, whatever the reasons for the cancellation. The Applied Training 2020 includes 5 training modules in Bristol. Each module is three days long. Fee: The full fee for the course is £2,685. Early bird fee: £2,435 if we receive your deposit by 31 October 2019. A non-refundable deposit of £450 is payable to secure your place. Other: If you did not complete your foundation training with CSC, a short telephone interview will be arranged once we have received your booking. Any cancellation made up to one calendar month before the start of the first module of the course, will receive a full refund of all course fees paid to this point, except for the non-refundable deposit. Cancellations made between 2-4 weeks before the start of the first module: half the course fee will be charged, whatever the reason for cancellation. Cancellations made less than two weeks before the start of the training: at this stage, the full fees will be required, as agreed, whatever the reasons for the cancellation.